I picked up another release copy of this moody, delightful book. I thoroughly enjoyed the book, with its mix of joyful, quiet, and sometimes creepy moods. The opening scene of little Moomintroll awakening in midwinter while the rest of his family is deep in hibernation is marvelously atmospheric, reminding me of that otherworldly feel of being awake at an unusual time. "The silence was deep and expectant." 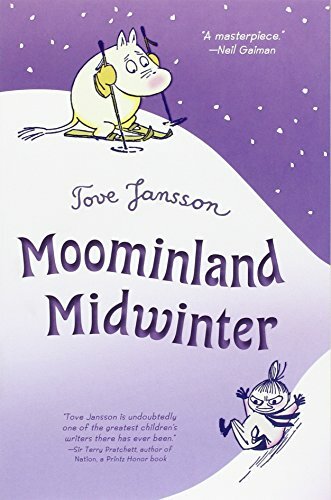 As Moomintroll explores this strange new world - having become used to the eeriness of the sleeping forms of his family - he comes across others who are awake during the wintertime, from a confused squirrel to "whatever lives under the sink". And then Too-ticky turns up, and he has someone to talk to (and get in trouble with!). Lovely, eerie, funny, heartwarming... delightful! 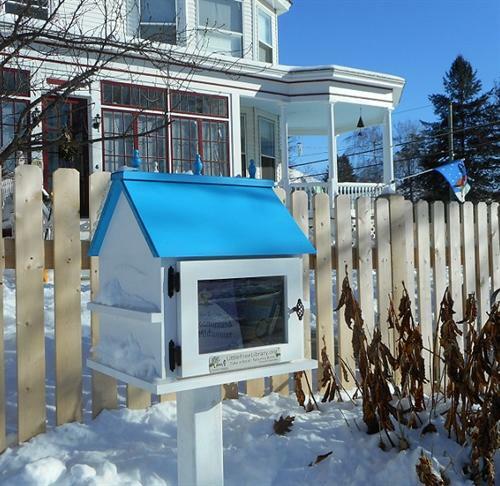 I left this book in the Little Free Library on this bitterly cold and windy day; hope someone enjoys the book!